–the claim that if Edward Snowden is a sincere whistle-blower he will now, despite asylum, voluntarily return to the United States to tell his story in open court so as to answer charges that he is guilty of criminal espionage and conversion of government property. –Obama has finally admitted at a press conference of August 11th that negative reactions even in Washington to what was widely perceived as surveillance far in excess of what could be reasonably justified by invoking post 9/11 security, was prompting the government to take steps to protect privacy and roll back the program. Whether these planned reforms will amount to more than gestures to quiet the present public uproar remains to be seen. Obama did acknowledge, what everyone knew in any event, that it was the Snowden disclosures that prompted such official action at this time, but even with this show of recognition, the president still called on Snowden to return to the United States to tell his story to a criminal court if he seeks vindication. In his words, if Snowden thought he had done the right thing, “then, like every American citizen, he can come here, appear before the court with a lawyer and make his case.” Really! In the aftermath of the Bradley Manning saga, the treatment of Guantanamo detainees, the acquittal of Zimmerman in the Trayvon Martin case, and the denial of ‘compassionate release’ to Lynne Stewart a brave and admired lawyer with a reputation for defending unpopular clients, who lies shackled in a Texas jail while dying of terminal cancer. It could only be a naïve fool who would risk their future on a scale of justice offered to Snowden by the American criminal law system in light of these judicial and governmental outrages. It seems rather perverse for Snowden’s father, Lou Snowden, to be reported as planning to visit his son in Moscow with the intention of urging his return to face charges, although only if the government provides appropriate reassurances. It should by now be obvious that such reassurances to Snowden would be meaningless even if made in good faith by the Attorney General. Normally, the judge and jury in any criminal trial involving alleged breaches of national security defers to the government’s view of the situation and would be unlikely to allow Snowden the option of introducing evidence as to his motivation, which is normally excluded, especially if classified material is at stake. In a trial of this sort the government only needs to show criminal intent, that is, the deliberate flouting by Snowden of relevant American law. Since this is uncontested, it would mean that Snowden would have to claim ‘necessity,’ a defense rarely entertained by American courts, and here would also require that Snowden be able to depict the surveillance system and why it was a threat to American democracy and the rights of American citizens, which could not be done without declassifying the very documents that Snowden is accused of wrongfully disclosing. What If a Russian Snowden? What is most troubling about how the Snowden case has played out diplomatically and via the media is the almost total refusal to focus attention on the central legal, moral, and political issues. The United States Government from the outset has acted as if it is entitled to have Snowden transferred to its custody because he is a fugitive from American criminal justice. Pursuing this line of reasoning, Washington has exerted pressure on Latin American governments not to grant Snowden asylum and expressed disappointment with Hong Kong, China, and Russia for their refusal to comply with the U.S. request. The assumption has been that this is a simple instance of cooperative law enforcement, and it is thus unfriendly and unreasonable for another government to shelter Snowden by a grant of asylum. –failing to point out that espionage, the main accusation against Snowden, is the quintessential ‘political offense’ in international law, and as such is routinely excluded from any list of extraditable offenses; there are good reasons why the safety valve provided by whistleblowers and dissidents is especially valuable for the citizenry of democratic societies at the present time. When the nature of security threats is so widely dispersed, and can extend to citizens and the far corners of the earth, the possibility of anti-democractic abuse is great. What Snowden has revealed, shows that this danger is more than a possibility, and calls for remedial action in the United States that establishes more restrictive guidelines on what the government may do in relation to privacy and confidentiality than previously existed. In effect, Snowden performed a public service that is being indirectly acknowledged by new attention given in Congress and by the media to a rebalancing of security and freedom more responsive to the values of privacy. 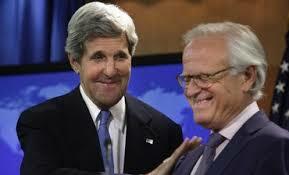 Appointing Martin Indyk as Special Envoy to the upcoming peace talks was to be expected. It was signaled in advance. And yet it is revealing and distressing. The only other candidates considered for the job were equally known as Israeli partisans: Daniel Kurtzer, former ambassador to Israel before becoming Commissioner of Israel’s Baseball League and Dennis Ross, co-founder in the 1980s (with Indyk) of the AIPAC backed Washington Institute for Near East Policy; handled the 2000 Camp David negotiations on behalf of Clinton. The winner among these three was Martin Indyk, former ambassador to Israel (1995-97; 2000-01), onetime AIPAC employee, British born, Australian educated American diplomat, with a long list of pro-Israeli credentials. What is stranger, still, is that the media never bothers to observe this peculiarity of a negotiating framework in which the side with massive advantages in hard and soft power, as well as great diplomatic and media leverage, needs to be further strengthened by having the mediating third-party so clearly in its corner. Is this numbness or bias? Are we so accustomed to a biased framework that it is taken for granted, or is it overlooked because it might spoil the PR effect of reviving the moribund peace process? John Kerry, the U.S. Secretary of State, whose show this is, dutifully indicated when announcing the Indyk appointment, that success in the negotiations will depend on the willingness of the two sides to make ‘reasonable compromises.’ But who will decide on what is reasonable? It would be criminally negligent for the Palestinians to risk their future by trusting Mr. Indyk’s understanding of what is reasonable for the parties. But the Palestinians are now potentially entrapped. If they are put in a position where Israel accepts, and the Palestinian Authority rejects, “(un)reasonable compromises,” the Israelis will insist they have no “partner” for peace, and once more hasbara will rule the air waves. It is important to take note of the language of reasonable compromises, which as in earlier attempts at direct negotiations, excludes any reference to international law or the rights of the parties. Such an exclusion confirms that the essential feature of this diplomacy of negotiations is a bargaining process in which relative power and influence weighs heavily on what is proposed by and acceptable to the two sides. If I were advising the Palestinians, I would never recommend accepting a diplomatic framework that does not explicitly acknowledge the relevance of international law and the rights of the parties. In the relation of Israel and Palestine, international law could be the great equalizer, soft power neutralizing hard power. And this is precisely why Israel has worked so hard to keep international law out of the process, which is what I would certainly recommend if in Tel Aviv’s diplomatic corner. Can one even begin to contemplate, except in despair, what Benjamin Netanyahu and his pro-settler cabinet consider reasonable compromises? On what issues can we expect Israel to give ground: borders, Jerusalem, refugees, settlements, security? It would have been easy for Kerry to create a more positive format if he had done either of two things: appointed a Palestinian or at least someone of Middle Eastern background as co-envoy to the talks. Rashid Khalidi, President Obama’s onetime Chicago friend and neighbor, would have been a reassuring choice for the Palestinian side. Admittedly, having published a book a few months ago with the title Brokers of Deceit: How the U.S. Undermined Peace in the Middle East, the appointment of Khalidi, despite his stellar credentials, would have produced a firestorm in Washington. Agreed, Khalidi is beyond serious contemplation, but what about John Esposito, Chas Freeman, Ray Close? None of these alternatives, even Khalidi, is as close to the Palestinians as Indyk is to the Israelis, and yet such a selection would have been seen as a step taken to close the huge credibility deficit. Yet such credibility remains outside the boundaries of the Beltway’s political imagination, and is thus inhabits the realm of the unthinkable. 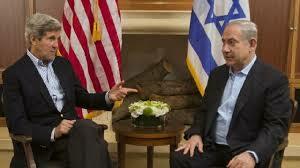 It may be that Kerry is sincere in seeking to broker a solution to the conflict, yet this way of proceeding does not. Perhaps, there was no viable alternative. Israel would not come even to negotiate negotiations without being reassured in advance by an Indyk-like appointment. And if Israel had signaled its disapproval, Washington would be paralyzed. And so we can expect to witness yet another charade falsely advertized as ‘the peace process.’ Such a diversion is costly for the Palestinians, beneficial for the Israelis. Settlement expansion and associated projects will continue, the occupation with all its rigors and humiliations will continue, and the prospects for a unified Palestinian leadership will be put on indefinite hold. Not a pretty picture. This picture is made more macabre when account is taken of the wider regional scene, especially the horrifying civil war in Syria and the bloody military coup in Egypt. Not to be forgotten, as well, are Israeli threats directed at Iran, backed to the hilt by the U.S. Congress, and the terrible legacy of violent sectarian struggle that is ripping Iraq apart. Naturally, there is speculation that some kind of faux solution to the Israel/Palestine conflict would release political energy in Washington that could be diverted to an anti-Assad intervention in Syria and even an attack on Iran. We cannot rule out such infatuations with morbid geopolitical projects, but neither should we assume that conspiratorial scenarios foretell the future. This post is a revised and modified version of an essay published as an Op/Ed two days ago by Al Jazeera English; it attempt to reflect on the significance of the Snowden disclosures, and why governments did not rebuff the American efforts to take Snowden into custody as an accused criminal by the simple assertion that ‘political crimes‘ should never be the subject of cooperative inter-governmental efforts to achieve the enforcement of criminal law in a foreign country. The world benefits from the safety valve of such sanctuary, as does the country that is seeking to arrest and punish the whistleblower even if most of its leaders and opinion makers do not realize this. So far even the U.S. Government has not insisted that Snowden’s crime is somehow not to be considered ‘a political crime,’ nor could it plausibly make such an argument. For this reason to capture Snowden the United States has relied on its diplomatic clout and geopolitical capacity to impose costs on those who do not comply with its wishes. So far in the Snowden Affair it is small Latin American countries, including Bolivia, Ecuador, and Venezuela, that have risked the ire of the United States by pursuing independent policies with respect to Snowden, and acting correctly from the perspective of law and morality. I had thought that there was a clear set of principles that make the frantic American diplomatic pursuit of Edward Snowden as a fugitive from justice a rather empty and futile gesture. As far as I can tell, there is not even a need for asylum, which is normally reserved for someone with reasonable fears that persecution will occur is forced to return to his country of nationality. Every foreign governments should have been prepared to grant Snowden residence status because his alleged criminal acts in the United States were without doubt political crimes. I had thought it was as straightforward as law can be that any person who has committed a political crime should be exempted from mandatory extradition even if a treaty existed imposed a duty on its parties to hand over individuals accused of serious criminal activity. To be sure, from the perspective of the United States Government, Snowden’s exposure of the PRISM surveillance program was a flagrant violation of the Espionage Act and breach of classification constraints was unlawful. But it was also as self-evidently a political crime as almost any undertaking can be. There was no violence involved or threatened, and no person is harmed by the disclosures. Quite the contrary, information in the public interest, related to the defense of individual liberties and national sovereign rights was made available, enhancing the prospects for protecting democracy against its many enemies. What puzzles me is why the refusal to hand Snowden over by expelling him to the United States, which is what Washington has asked Russia to do, raises any kind of serious question beyond wondering how and why the U.S. government officials posed such a request almost in the form of a demand in the first place. The U.S. Government approached Moscow as if they were harboring a common criminal: “We expect the Russian Government to look at all options available to expel Mr. Snowden to the United States to face justice for the crimes with which he is charged.” Putin spurned the request, but he might have made his correct stand stronger either by indicating that Snowden was welcome to remain in Russia or by rebuffing such a strongly worded request as inappropriate. It is also puzzling why governments in Europe did not politely respond to Washington by simply saying that it has long been their firm policy and consistent practice not to collaborate with foreign governments in the pursuit of individuals accused of committing nonviolent political crimes. There are excellent public policy and humanitarian reasons why such ‘criminals’ should not be treated internationally as fugitives from justice. Whistleblowing serves the overall public interest relating to maintain a balance of state and society in democratic polities, and providing sanctuary for those who commit political crimes benefits the public good of a state-centric world order. It seems clearly within the domain of reason to believe that the extent of secret surveillance, both conducted by the United States within its own borders and globally, is posing a dangerous threat to the future of democracy, to the freedom, privacy, and the security of individuals, and to the national sovereignty of all states. In these respects, Snowden’s crimes are from a global perspective not crimes at all, but should be viewed as timely and brave contributions to human security. His disclosures can also be interpreted from within the United States as acts of civil disobedience, that is, deliberate violations of law to call attention to greater wrongs. It was Snowden’s conscience as a citizen that appears to have led him to act against his normal interests, giving up a successful career and high income as a skilled government contract employee working in the private sector and accepting the pressures and insults that he must have anticipated would follow upon such a frontal challenge to counter-terrorist security policies relied upon by the most powerful country in the world. There is every indication that Snowden knew exactly what he was doing, and why. He deliberately violated the applicable criminal law of the United States in a sensitive area of national security, and not surprisingly has been labeled ‘a traitor’ by politicians and some media opinion writers, and some zealots have even accused him of ‘treason.’ Beyond this, more moderate critics have insisted that unlike Daniel Ellsberg who remained in the country after he released the Pentagon Papers, Snowden does not deserve to be respected as a whistleblower because he did not stay around to face the legal music, subservience to the criminal law system being regarded as the essential expression of good faith by those who claim to be acting for the public good when they defy the law for a supposedly higher good. It should be appreciated that in the post-9/11 world, especially within the United States, there is an almost unlimited willingness of American courts to treat government procedures of surveillance and policies of confidentiality as ‘reasonable’ provided only that a justification is made that such measures are needed to keep American safe and prevent future terrorist incidents. It is true that Snowden is insisting that his balancing of security and freedom is to be preferred over that of the government, including its elected representatives and leaders. The U.S. Government international pursuit of Snowden seems to contradict its own long standing practice of refusing to give up to foreign governments those wanted for political crimes, including in some instances even shielding persons charged with terrorist activity if the target country is viewed as an enemy state. The most notorious example of such a pattern involves Luis Posada Carrilles, an exile from Cuba with a long record of involvement in anti-Castro terrorist activity and state terrorism. Carrilles, among other violent acts, is alleged to have been centrally involved with a plot to blow up a Cuban passenger plane in 1976 that killed all 73 persons on board. He has been living for decades without legal difficulties in Florida. This is not meant to show the extremes to which the political crimes doctrine is carried. Rather it illustrates carrying this exemption from criminal accountability much too far, and raises the opposite problem from that associated with the affair of Snowden. The shameful behavior of several European governments, succumbing to American pressure, cannot be overlooked, and suggests the extent to which law and morality can be bent by the exertion of geopolitical leverage. It is notable that such well established governments of France, Portugal, Spain, and Italy caved in, denying overflight rights to the plane carrying Evo Morales, President of Bolivia, apparently hoping to persuade a friendly government to seize Snowden wherever the plane eventually landed, and then turn him over to American authorities if he were on board who would have him transported back to the United States to face charges. It should hardly be surprising that such diplomatic hard ball at Bolivia’s expense angered several Latin American countries, justifiably sensitive to such a display of U.S. willingness to throw its weight around in a manner humiliating to a head of state in a Latin American country. It is unimaginable that the United States would tolerate such behavior if its president were to be denied normal overflight rights because there was believed to be on board an Iranian who had just revealed some state secrets about Iran’s nuclear program because he was fearful that the development of nuclear weapons by Iran would lead to war. Undoubtedly this effort to divert the Bolivian presidential plane was an anguishing reminder to Latin America that the imperial mentality responsible for the Monroe Doctrine and ‘gunboat diplomacy’ in the Western Hemisphere was not entirely a thing of the past. It is not known why Snowden himself shifted the context from the exemption of political crimes to a request for asylum, which presupposes a justifiable fear of persecution of returned to the country of nationality. It may be that he was not advised about the availability of political crimes exception to extradition or that he was informed by Russia and other governments that he would not welcome to remain in their country, perhaps because of seeking to avoid diplomatic difficulties with the United States. As it was, the U.S. officials and influential media commentators treated the refusal of Russia, China, and Hong Kong to hand Snowden over as an unfriendly, if not hostile, act. Secretary of State Kerry somewhat bizarrely reminded Russia of their recent cooperation in relation to the Boston Marathon terrorist case, as if this somehow created an obligation on Russia’s part to behave in a similar way with respect to Snowden. What make this bizarre is the seeming equivalence struck between the Boston murderers and Snowden. It is against such a background that Nicolás Maduro, President of Venezuela, offered Snowden asylum on July 5th, the national holiday celebrating independence in his country. The offer of asylum to Snowden on such an occasion was resonant with symbolism relating to a reminder to Washington that time have indeed changed, and even small Latin American countries will define their own national interests and shape public policy on the basis of Venezuelan values. Snowden has reportedly accepted the offer, but there is no indication how he will make sure that his trip from Shermetyevo International Airport in Moscow to Caracas is not interrupted on route in a way that allows the United States to take him into custody. There is another question lurking in the background. Will Venezuela be now made to pay for doing the right thing? And what of Bolivia, Nicaragua, Ecuador that each indicated sympathy with Snowden’s request for asylum? There has been speculation that in the post-Chavez era Maduro has been seeking to normalize relations with the United States, and that this goal might now be put on indefinite hold. And what about Hong Kong, China, and Russia that spurned American efforts to have Snowden expelled to the United States after his passport was cancelled? How far will the U.S. Government push this anti-leak diplomacy? I suppose that this attack of ‘surveillance panic’ is a symptom of the larger importance being attached by Washington to cyber security, and worries about disabling attacks directed at information networks by way of hacking and debilitating viruses. Even granting this, to go after Snowden in this way is more than panic, it suggests one more example of American exceptionalism that causes anger and resentment throughout the world—in effect, the United States is insisting that we expect from others far more than we are prepared to give. It is especially striking that among Snowden’s disclosures are confirmations of the earlier rumors that the United States and Israel had collaborate to develop the computer worm or virus, Stuxnet, that had been used in 2010 to disrupt operations in Iran’s nuclear facilities. As with the use of drones around the world, the blowback risks seem once more ignored as America flexes its geopolitical muscles without regard for the constraints of international law, the logic of reciprocity, and the values of a free society. Reciprocity is the indispensable foundation of effective international law, and it is here that the Snowden Affair seems particularly disturbing. If a Chinese Snowden was to make comparable revelations that violated Chinese criminal law there would not be a chance in a million that the United States would return such an individual to China, and wouldn’t Washington be outraged if China used its leverage to persuade governments to divert a plane suspected of carrying the person they were seeking to prosecute, especially if it were a plane known to be carrying the president of a sovereign state? Why should it be deemed ‘unfriendly’ to offer sanctuary to Snowden as European countries, and even China and Russia, seemed to believe? Why were even the Latin American countries seemingly only led to act when the Bolivian president was denied normal international comity in international airspace as head of a sovereign state, and this seemed like an affront that called for a response? Giving sanctuary to political crimes helps makes the world safe for political dissent and pluralism, and offers a shield against the autocratic security state. It should be expected as a dimension of a commitment to human rights and democracy. It is admirable that Venezuela, whatever its reasons, stepped forward to offer Snowden asylum, which was certainly deserved from the perspective of refugee law, considering the vindictive and punitive approach taken toward such other recent ‘leakers’ as Bradley Manning and Julian Assange. What may be most regrettable in this yet unfinished drama is the American refusal to engage in self-scrutiny, to wonder whether surveillance and secrecy are not being abused, a gross over-reaction to 9/11 and extremist threats, that alters the balance between state and society in an anti-democratic manner, as well as treats the entire world as if falls within the ‘territorial’ domain of U.S. national security. Such a worldview is decidedly imperial as it has no intention of honoring reciprocal claims made by others, and implicitly places the United States above the law by allowing it to seize such a fugitive from justice wherever in the world he might be found, thereby manipulating cooperative international criminal law enforcement to suit its own particular priorities. Instead of seeking to prosecute and punish Snowden, the healthy national response would be to consider placing stronger limits on governmental surveillance and extraterritorial security claims, and certainly to open such a debate. It is crucial that American citizens not be fooled by the politics of deflection by which the government and a pliant media avoid the message of disclosure and obsess about the messenger who discloses. It has never been more important for Americans and others to discuss the substantive concerns that prompted Snowden to take such a hazardous course. And yet the energy of the country has been almost exclusively devoted up to now to the purported need to punish this individual of conscience who chose courageously to endure the predictable fury of a state when some of its most unseemly secrets were shared with the public. Snowden gave us as planetary citizens this incredible opportunity and responsibility to evaluate the acceptability of these state secrets, which if not taken, might fasten forever the tentacles of the security state upon an increasingly nominal and pliant body politic. Afghanistan: The War Turns Pathological—Withdraw! The latest occupation crime in Afghanistan is a shooting spree on March 11 by a lone American soldier in the village of Balandi in the Panjwai District of Kandahar Province of Afghanistan. 16 Afghan civilians, including women and children, were shot in their homes in the middle of the night without any pretense of combat activity in the area. Such an atrocity is one more expression of a pathological reaction by one soldier to an incomprehensible military reality that seems to be driving crazy American military personnel on the ground in Afghanistan. The main criminal here is not the shooter, but the political leader who insists on continuing a mission in face of the evidence that it is turning its own citizens into pathological killers. American soldiers urinating on dead Taliban fighters, Koran burning, and countryside patrols whose members were convicted by an American military tribunal of killing Afghan civilians for sport or routinely invading the privacy of Afghan homes in the middle of the night: whatever the U.S. military commanders in Kabul might sincerely say in regret and Washington might repeat by way of formal apology has become essentially irrelevant. These so-called ‘incidents’ or ‘aberrations’ are nothing of the sort. These happenings are pathological reactions of men and women caught up in a death trap not of their making, an alien environment that collides lethally with their sense of normalcy and decency. Besides the desecration of foreign lands and their cultural identities, American political leaders have unforgivably for more than a decade placed young American’s in intolerable situations of risk, uncertainty, and enmity to wage essentially meaningless wars. Also signaling a kind of cultural implosion are recent studies documenting historically high suicide rates among the lower ranks of the American military. Whatever the defensive pretext in the immediacy of the post-9/11 attacks, the Afghanistan War was misconceived from its inception, although deceptively so. (to my lasting regret I supported the war initially as an instance of self-defense validated by the credible fear of future attacks emanating from Afghanistan) Air warfare was relied upon in 2002 to decimate the leadership ranks of Al Qaeda, but instead its top political and military commanders slipped across the border. Regime change in Kabul, with a leader flown in from Washington to help coordinate the foreign occupation of his country, reverted to an old counterinsurgency formula that had failed over and over again, but with the militarist mindset prevailing in the U.S. Government, failure was once again reinterpreted as an opportunity to do it right the next time! Despite the efficiency of the radical innovative tactic of target killing by drones, the latest form of state terror in Afghanistan yields an outcome that is no different from earlier defeats. What more needs to be said? It is long past time for the United States and its NATO allies to withdraw with all deliberate speed from Afghanistan rather than proceed on its present course: negotiating a long-term ‘memorandum of understanding’ that transfers the formalities of the occupation to the Afghans while leaving private American military contractors—mercenaries of the 21st century—as the outlaw governance structure of this war torn country after most combat forces withdraw by the end of 2014, although incredibly Washington and Kabul, despite the devastation and futility, are presently negotiating a ten-year arrangement to maintain an American military presence in the country, a dynamic that might be labeled ‘re-colonization by consent,’ a geopolitical malady of the early 21st century. As in Iraq, what has been ‘achieved’ in Afghanistan is the very opposite of the goals set by Pentagon planners and State Department diplomacy: the country is decimated rather than reconstructed, the regional balance shifts in favor of Iran, of Islamic extremism, and the United States is ever more widely feared and resented, solidifying its geopolitical role as the great malefactor of our era. America seems incapable of grasping the pathologies it has inflicted on its own citizenry, let alone the physical and psychological wreckage it leaves behind in the countries it attacks and occupies. The disgusting 2004 pictures of American soldiers getting their kicks from torturing and humiliating naked Iraqi prisoners at Abu Ghraib should have made clear once and for all to the leaders and the public that it was time to bring American troops home, and keep them there if we cared for their welfare. Instead punishments were inflicted on these hapless young citizens who were both perpetrators and victims, and their commanders resumed their militarist misadventures as if nothing had happened except an unwelcome ‘leak’ (Donald Rumsfeld said as much) What this pattern of descretation exhibits is not only a criminal indifference to the wellbeing of ‘others’ but a shameful disregard of the welfare of our collective selves. The current bellicose Republican presidential candidates calling for attacks on Iran amounts to taking another giant step along the road that is taking American over the cliff. And the Obama presidency is only a half step behind, counseling patience, but itself indulging war-mongering, whether for its own sake or on behalf of Israel is unclear. President Obama recently was quoted as saying of Afghanistan “now is the time for us to transition.” No, it isn’t. “Now is the time to leave.” And not only for the sake of the Afghan people, and surely for that, but also for the benefit of the American people Obama was elected to serve.